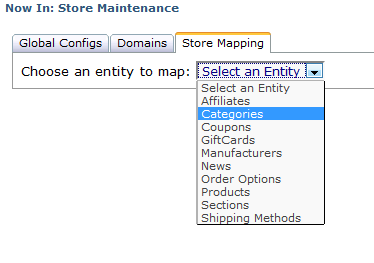 Mapping entities to stores is how you determine which entities show up on which stores. 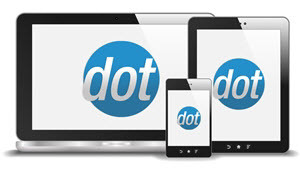 This allows you to share some/all entities across all of your stores, or split things up entirely so each store has different categories, departments, and manufacturers, all while only having to manage a single admin site. Before you begin, of course, make sure that the entity you need to map exists. 1 - First, if you want the entities to vary from store to store, you need to set the AllowEntityFiltering GlobalConfig to true. 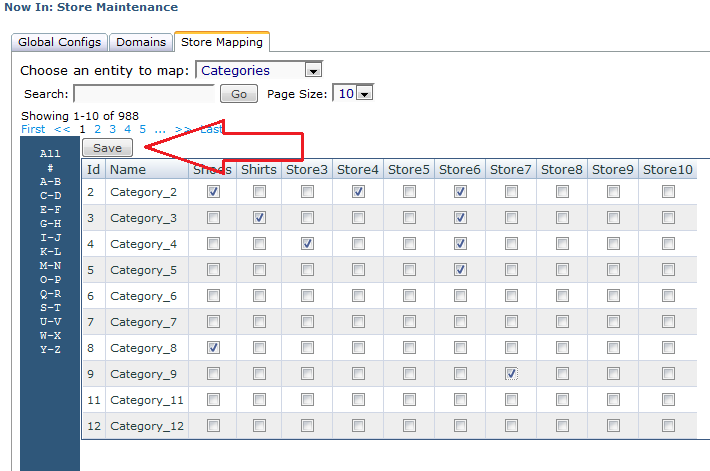 2 - Next, go to Configuration -> Store Maintenance and click on the 'Store Mapping' tab, then choose the entity type you want to work on from the dropdown menu at the top of the page (Categories, Manufacturers, or Sections). 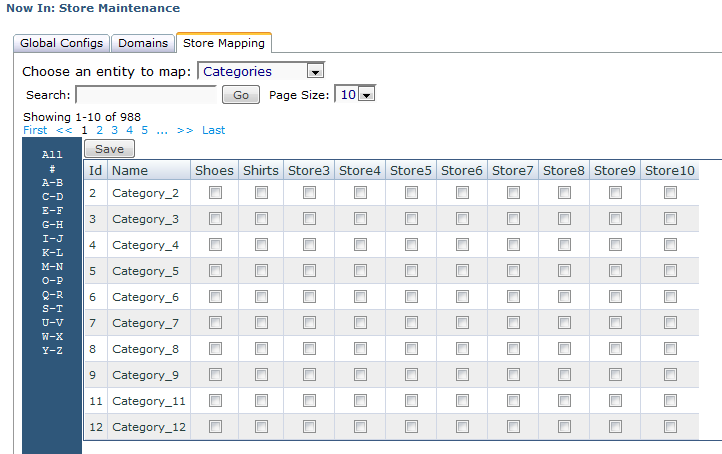 3 - After the page reloads, a grid will display showing all of the entities and stores, with a checkbox for each. 4 - Check off the box(es) for the entities that you want to appear on each store, then click the 'Save' link at the top of the grid. NOTE: You can only check off boxes on one page at a time. Please click 'Save' before moving to the next page of mappings to change!